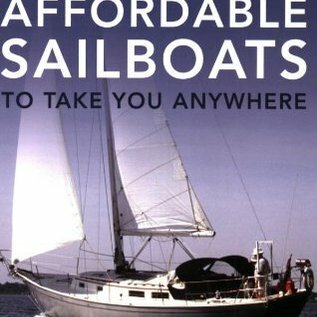 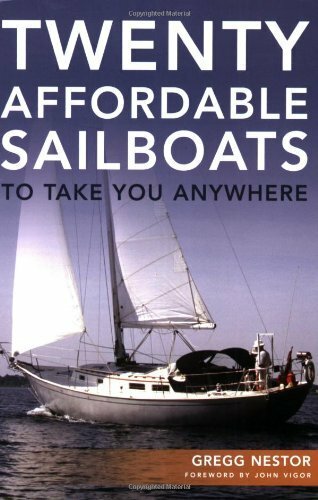 Twenty Affordable Sailboats to Take You Anywhere you will find in-depth reviews of twenty affordable,comfortable, and seaworthy sailboats.These boats range in size from 30-38 feet,an ideal size for the cruising couple,yet big enough to accommodate an occasional cruising hitchhiker or two. 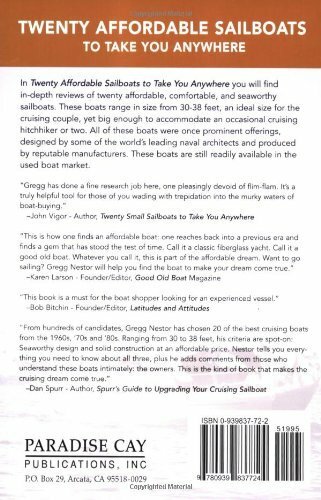 All of these boats were once prominent offerings, designed by some of the world s leading naval architects and produced by reputable manufacturers. 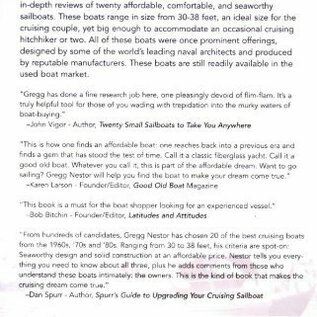 These boats are still readily available in the used boat market.